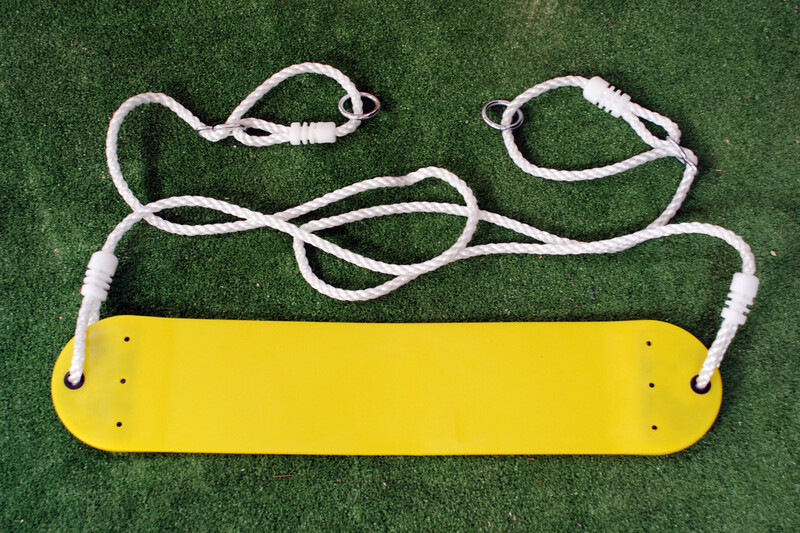 Children's yellow belt swing, adjustable up to 165cm long. 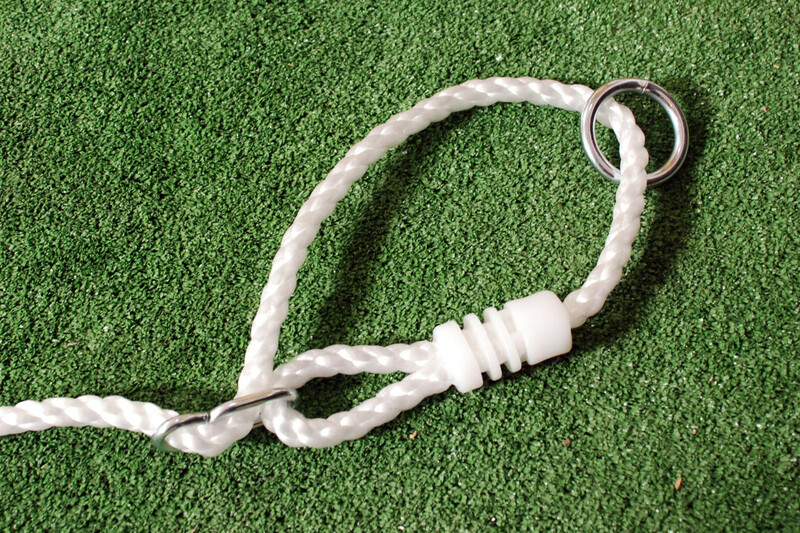 Manufactured from durable EVA plastic, with white soft-grip 10.5mm PE ropes. Seat size measures 67cm wide x 14.3cm depth x 1.2cm thick. Belt swing seat measures 67cm wide x 14.3cm depth x 1.2cm thick. Rope can be extended up to 165cm long. Great swing. The children glide through the air like young gazelles. Easy to attach . Fast delivery. Superb overall service. The best thing about these Selwood swing seats is that they are adjustable. My children are 7 and 9 and very different in heights. We just adjust the length of the seat ropes to suit their height and everyone is happy. 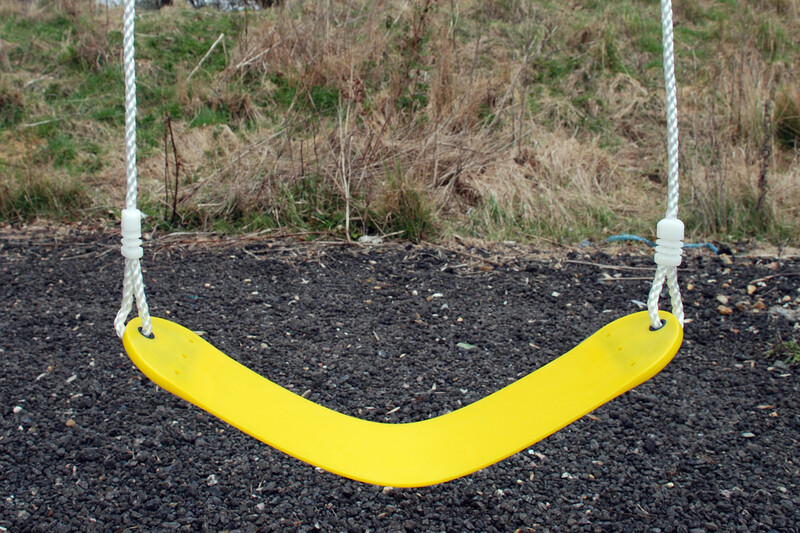 The swing ropes are also not that sort that can disintegrate into a powdery mess in time, like the ones we have previously. Fabulous buy. Will definitely recommend.